What goes with what? Do oysters go with asparagus, bacon and mozzarella? Taste Buds: Complementary flavours, an extremely interesting and accurate infographic created by David McCandless and Willow Tyrer, recommends different herbs, spices and ingredients, for different types of food in order to create a good-tasting meal. Killing time is never easy either you are in an airplane or in restaurant, but it can be creative. 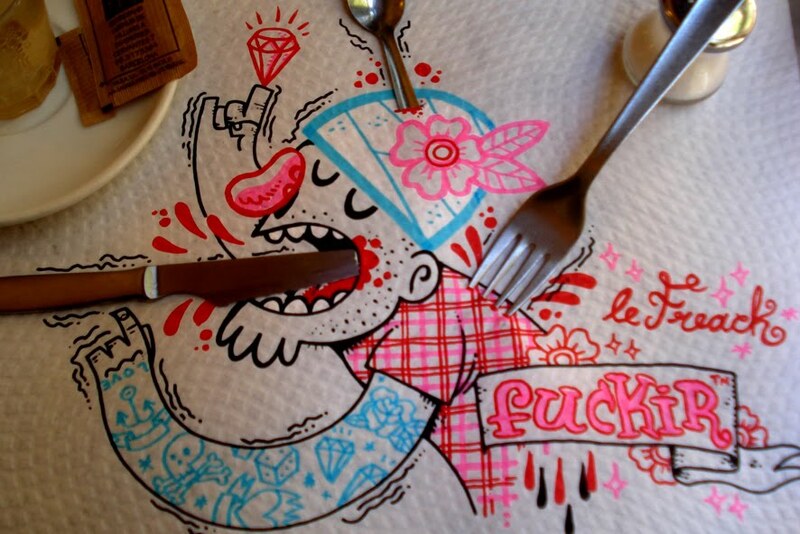 Illustrator Guibo draws his napkin tablecloth while he waits for his food, integrating in his drawings elements of the table. A while ago I promised never to blog again about food I made. It’s now time to break that promise. And on good grounds too. You see, this is an original recipe by yours truly. TA DA. I have a bergamot tree in my garden. Its smell simply makes me happy. But there is not much you can do with bergamot fruits – despite their godly fragrance they are actually very bitter, their juice included. Yesterday we cut all the fruit from the tree because it was ripe and perfect. So there were 4 bags of bergamot oranges in my kitchen. I couldn’t just let them rot. Then the idea hit me: when in doubt, make cupcakes. I love contrasts. Of color, of texture, of style. And a contrast of style is what first caught my eye in Ming Makes Cupcakes. That and my weak spot for cupcakes, that is. But back to the point: I just love the contrast between the luscious maximalism of the cupcakes and the severe minimalism of the layout. Oh the conflict, the tension! But I want to give (more) credit where credit is due. 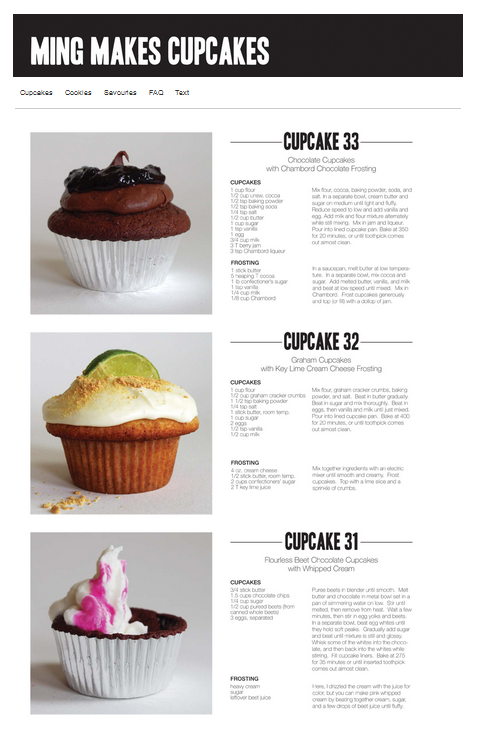 The recipes themselves are great, with some twists and surprises (flourless chocolate cupcakes anyone? 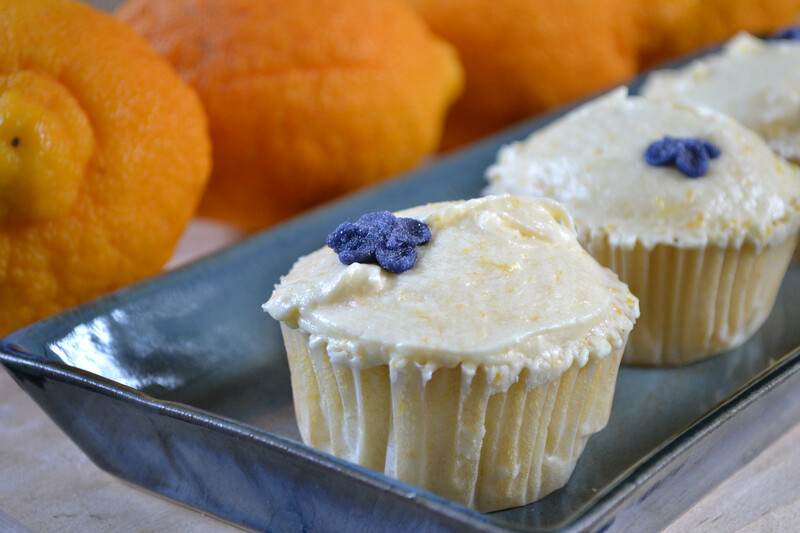 Sour cream fig cupcakes? Port wine and cherry chocolate? Beet chocolate?). I plan to start trying them ASAP. Oh, and a last note on usability: although every recipe (image & text) is an image, the blog has a text only version where you can read and copy/paste text from. Nothing to complain about. 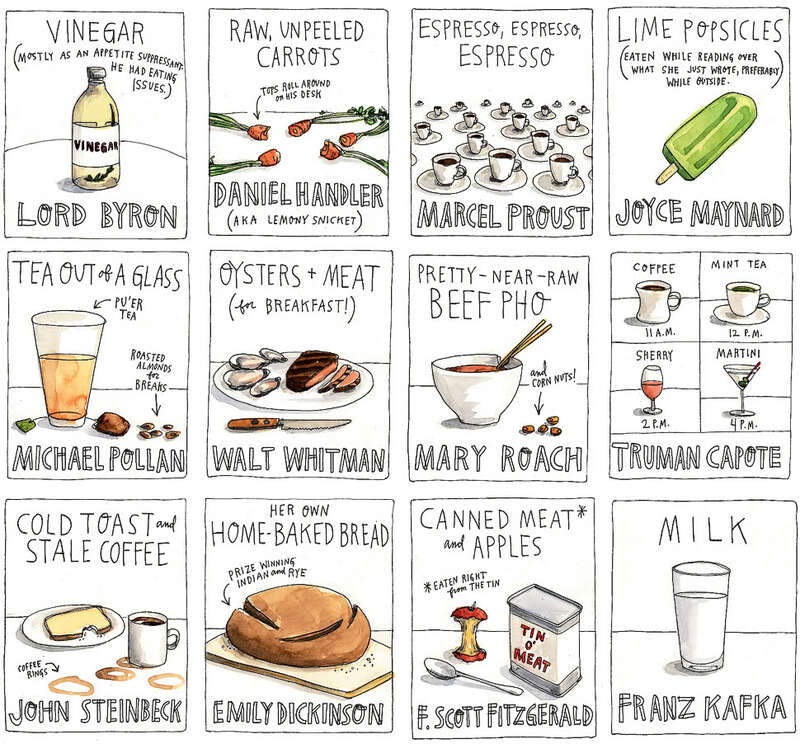 You are currently browsing entries tagged with food at it's a small web.